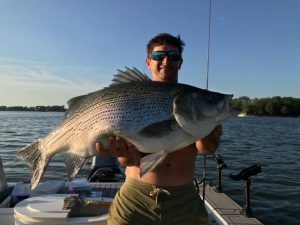 On June 12, Robert Vericella broke the state record for hybrid striped bass by reeling in a 21 pound, 7.2 ounce goliath. The previous record, a 20 pound, 7.2 ounce bass, was caught in 1993 at Lake of Egypt in southern Illinois. Vericella is from Bloomington and was fishing at Lake Bloomington. 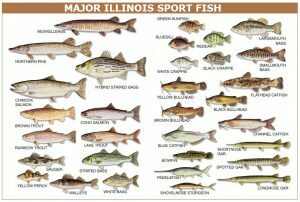 It’s Illinois’ year of the Big Fish and to date, nearly seven records have been set or broken in 2017, and the best of the fishing season is hardly finished. It’s enough to make some wonder if a magic fish whistle was finally invented. At first, it was thought that Terry Livingston Sr. beat the state tiger muskie record with a 36-pounder he reeled in from Goose Lake subdivision in Grundy County. DNA tests later concluded the fish was a true musky, not a hybrid, and the 2002 musky record of 38 pounds, 8 ounces still stands. Six others, however, set a new mark. In March, James Zimmerman of Beloit, Wis. caught a 15-pound, 8-ounce walleye while fishing on the Pecatonica River in Winnebago County. Also that month, Chicago resident, Ken Maggior, 19, brought in two record fish in 30 minutes from Montrose Bay on Lake Michigan; a 9.3-pound burbot and a 7.5-pound whitefish. In May, Dan Norris caught a 3-pound, 4.8-ounce brown bullhead in Lake Emiquon, and Ryan Povolish caught a 4.88-pound hybrid black crappie from Kinkaid Lake in southern Illinois. A month later, Robert Vericella reeled in a whopping 21-pound 7.2-ounce hybrid striped bass from Lake Bloomington. Since there is no such thing as a fish whistle, veteran fisherman, Larry Dozard said it’s best to know the seasonal habits of each species, where to find them and the condition of each fishing spot. Dozard founded the website, Larry’s Fishing Hole; a go-to site for news, events and advice on all things fishing in central Illinois. What fish go for can be somewhat of a debate, though there’s a standard bait for most fish. Catfish like fresh, strong-smelling morsels of shad, earthworms and, even, chicken livers. Bass, crappie and bluegill are generally attracted to the motion of a lure, as are muskie, pike and walleye. Lures are engineered specifically for each species. But fish don’t always follow tradition, and many a fish tale begins with a break from the norm. Povolish caught his record-setting black crappie with a combination of bass lures. And it’s always possible under any circumstances, Dozard said, to snare a fish in passing. So, where are the areas fishing hot spots? Central Illinois is peppered with private lakes and ponds, where, if you own one, or know someone who does, then you’re fortunate. 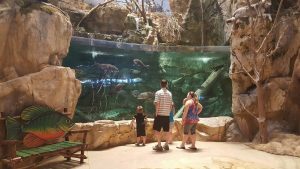 There are, however, a number of popular public fishing areas. Banner Marsh State Fish and Wildlife Area in Peoria County has “a little bit of everything,” and features a children’s fishing area stocked with bluegill. The Illinois Department of Natural Resources keeps the marsh well stocked, Dozard said. 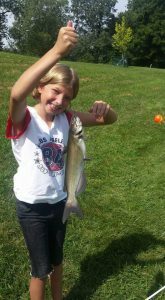 Like Peoria County, Woodford County is bounded on one side by the Illinois River, and offers mostly river fishing, along with a number of popular backwater fish areas. Eureka Lake does allow fishing, but is known to host smaller fish, and is a popular fishing spot for families with smaller children. For many in central Illinois, two fishing holes in McLean County seem to be most popular; Evergreen Lake and Lake Bloomington, where Vericella hooked the record bass. 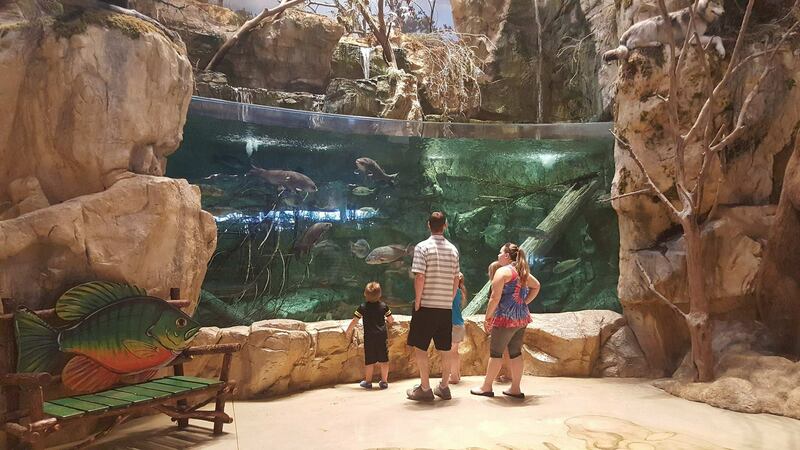 McLean County is about a 45-minute drive from the Peoria area, a comfortable distance for a lazy day of fishing. Most importantly, know the quality of the water. 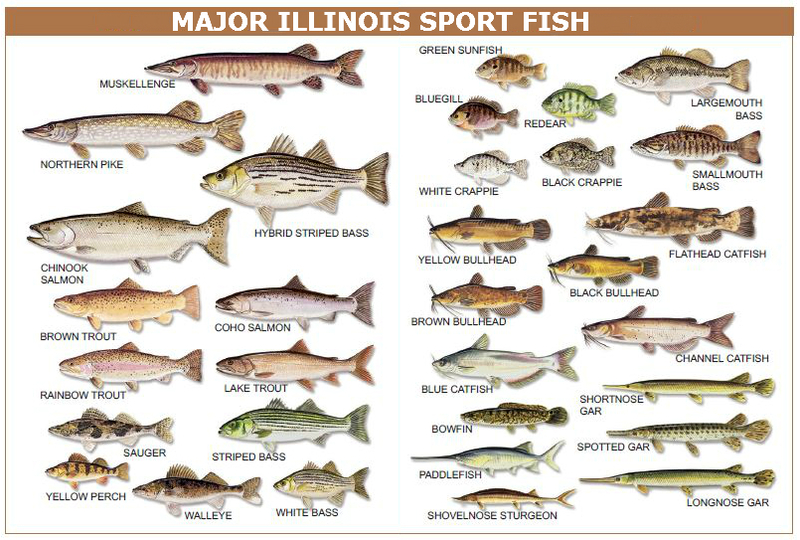 The Illinois Environmental Protection Agency maintains a list of 100 locations in Illinois that carry a fish advisory. These advisories feature which species of fish may be eaten or not, and how often they may be consumed. Powerton Lake and the Illinois River, along with its tributaries, have PCB warnings; that mix of chemicals is known to cause cancer, and most of the fish should not be eaten more than once a week. Others, such as Lake Michigan, also carry mercury warnings. For more information on water contaminates, visit www.dph.illinois.gov and search for “fish advisory map.” To learn more about state fisheries; their locations and regulations, visit IDNR’s website at www.dnr.illinois.gov.